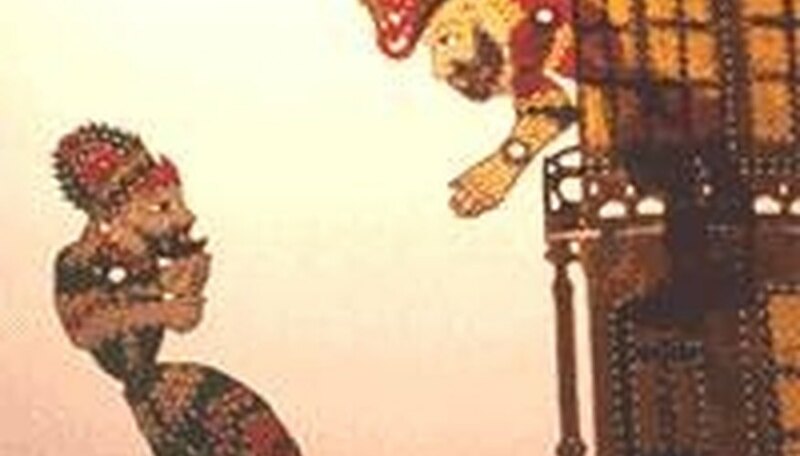 Shadow puppets have a long history in China, India, Turkey and Java, and as a popular form of entertainment for both children and adults in many countries around the world. A shadow puppet is a cut-out figure held between a source of light and a translucent screen. Translucent color is sometimes introduced into the cut-out shapes to provide a different look and different effects can be achieved by moving both the puppet and the light source. A talented puppeteer can make the figures walk, dance, fight, nod and laugh. Chinese legends state that the first shadow puppet was made more than 2,000 years ago to entertain the Emperor Wu of the Han Dynasty. He was deeply saddened by the death of his favorite concubine, and lost interest in his kingdom. A minister, seeing the shadows cast by dolls as children played, had the idea to create a puppet image of the departed woman and create a shadow play to cheer up the Emperor. Shadow puppetry was very popular during the Tang and Song Dynasties in many parts of China. The origins of shadow puppets in India are attributed to the gods, and the plays usually take place outside of temples to Shiva, who is the patron god of puppets. Legends say that Shiva and his goddess wife Parvati one day visited the shop of a toymaker who had created some wooden dolls with jointed limbs. Parvati, enchanted by the dolls, asked Shiva to let spirits enter the dolls so that they could dance. The toymaker, watching this from behind a screen, saw only shadows and got the idea to create shadow puppets. 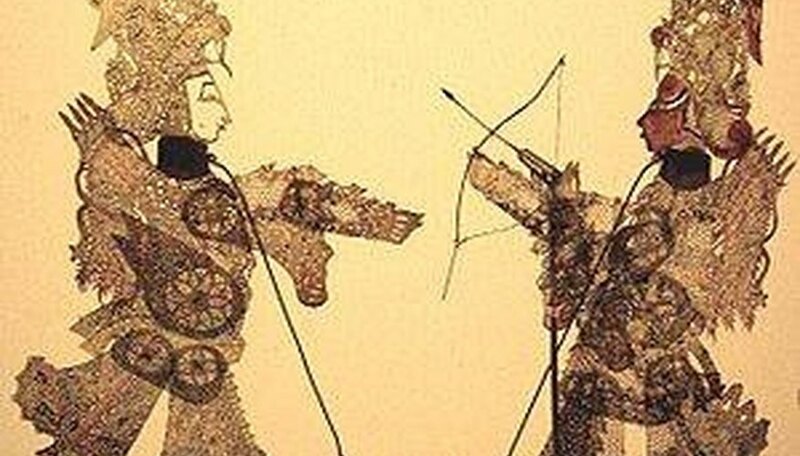 Turkish shadow puppets were always comic and satirical. The main characters are Karagöz and Hacivat. The two are always arguing, but the native wit of Karagöz always triumphs over the book learning of Hacivat. The two were workmen in the time of Ottoman Emperor, Orhan I. Their bantering arguments were said to entertain their co-workers, but slow construction of an important mosque in the capital city of Bursa. Executed for delaying the work, the two became folk heroes, and were "brought back to life" in the form of shadow puppets. In the 19th century, Karagöz migrated to Greece and became Karagiozis, a poor hunchbacked Greek who uses mischievous and crude ways to find money and feed his family. Java has three types of puppets, all with the word Wayang in their name. 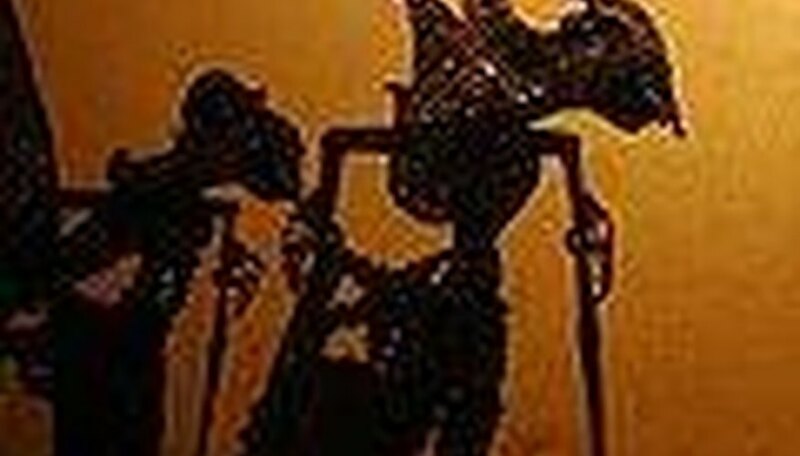 Wayang literally means "shadow," but refers to all types of puppet theater. 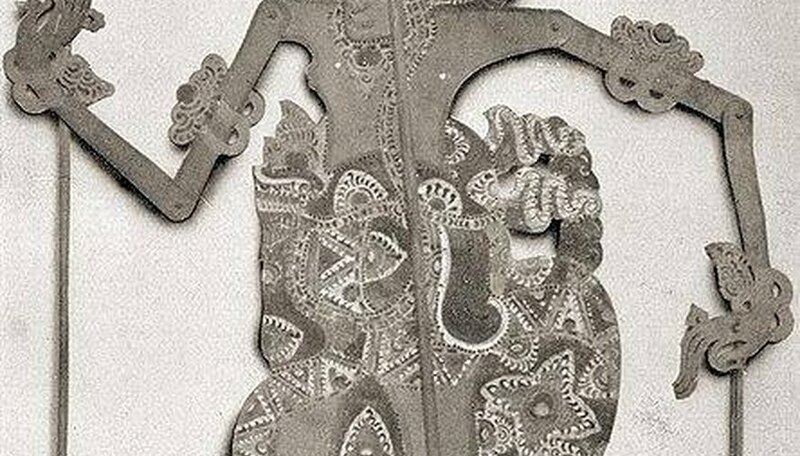 The shadow puppets of Indonesia are Wayang kulit: leather shadow puppets used to perform Indonesian versions of the Indian Hindu epics. Shadow puppets may have come from India with traders and priests who used them to explain the Hindu religion; however, puppet theater was established in the royal courts by the 1st century A.D. The puppets themselves have jointed limbs and can be made from cut paper, thin wood veneer, or the hide of a camel or a water buffalo. When they are made of hide, it is worked until it is semi-transparent; then it is colored, resulting in colorful projections. The lamp for projection was typically an oil lamp, although often electricity is used in contemporary performances. Images are projected onto a white muslin or silk screen from the rear, so the audience does not see the puppeteer. What Is the Origin of Mimes? What Is the Name of Comedy Tragedy Masks?